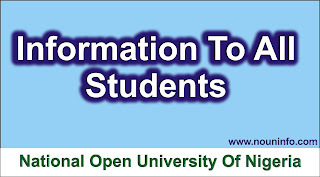 Noun result check online page, Noun statement of result overview and noun exam result calculation timeline. The truth remains that, the noun result checking procedure is quite easy, only that you never had the time to try it off. 2. At the nouonline.net result check website. Click on "Student Login" homepage link. 3. At the Nouonline student login page, Enter your matric number, Noun login password and Click the "Submit" button to login into the noun student portal dashboard. 5. And the next opened Nounonline portal page shows you your Noun results. The noun portal result page gives you many options to choose from - Noun statement of result, student exam result performance reports, noun result summary and noun exam grade statistics. Let's have them in details.